This month I’ve discovered a whole raft of new piano resources and materials, and met various composers, music educators and publishers. I will endeavour to include as many discoveries as possible in my monthly list over the coming months! 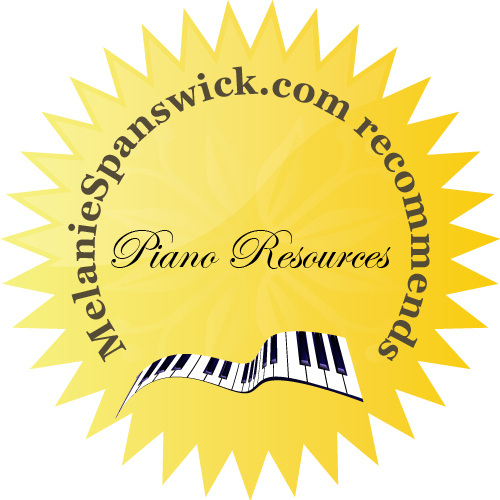 Here is my round-up of practice ideas, sheet music, online resources and piano courses. I hope you enjoy reading. 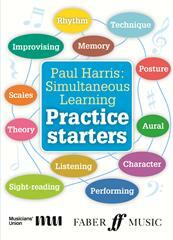 Paul Harris’ Simultaneous Learning concept has proved highly successful, and the Practice Starter Cards, published by Faber Music, provide a fun and imaginative extension to this approach. Launched at the Music Education Expo event in London last week, they are great way to begin piano lessons (or any instrumental or vocal lesson). Simply select a card, and follow the instructions on the back, to create a variety of lesson activities. The cards focus on different elements, such as scales, aural, improvisation, rhythm and sight-reading, and each suggestion encourages students to think for themselves, making connections between all aspects of musical learning, as well as proffering an entertaining and creative addition to lessons. All levels could benefit, but especially elementary and intermediate. Find out more and purchase here. Piano Safari offer a very popular piano method and a variety of materials to supplement this, with many useful primary pieces which are excellent for beginners and elementary players. A Pirates Escape, written by Christopher and Katherine Fisher, is essentially a duet for teacher and pupil, and will appeal to young students. Considered a late elementary piece in the key of D minor, it features a hand over hand arpeggio, and a rather dramatic coda with harmonic fifths. This new series seeks to offer pianists a wide range of popular tunes, written as effective arrangements within a graded framework, which is similar to that of the major exam boards. Published by Faber Music, this series extends to three progressive volumes, from approximately Grades 1 – 5. A collection of well-known tunes and songs arranged by Alan Bullard, Ned Bennett and others, the selection includes favourites by Disney, as well as TV, film, pop, folk, jazz and musical theatre numbers. Great for use between exams, or independent learning, as well as sight-reading for more advanced players. Children, teenagers, and adults will all find something to enjoy here, and these books will give teachers the opportunity to offer their pupils an alternative to classical pieces. This piece, written by Jenni Pinnock and published in January 2016, effectively depicts the cold, biting sentiment. Serene and striking, Frost was inspired by the beautiful carpet of ice crystals left across the landscape. 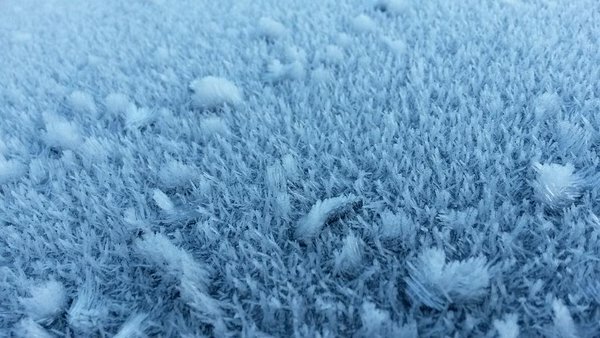 The composer writes, ‘although it may be a danger, it makes the world sparkle in a magical way, leaving glinting frosty spiders webs and icy plants for us to admire’. I enjoyed playing this piece through; it calls for atmospheric, evocative colours and would be perfect for those wishing to develop a larger tonal palette. You can listen to the piece and purchase a copy here. Russian pianist, teacher and composer, GéNIA, has written a collection of compositions which are a fusion of Classical crossover and Minimalism. The pieces have recently been published as sheet music, and she performs them frequently around the country; they are also played regularly on Classic FM and in Cafe Nero. London-Paris is my favourite, and it was inspired by frequent trips taken on the Euro-Star to Paris, where the composer often works. 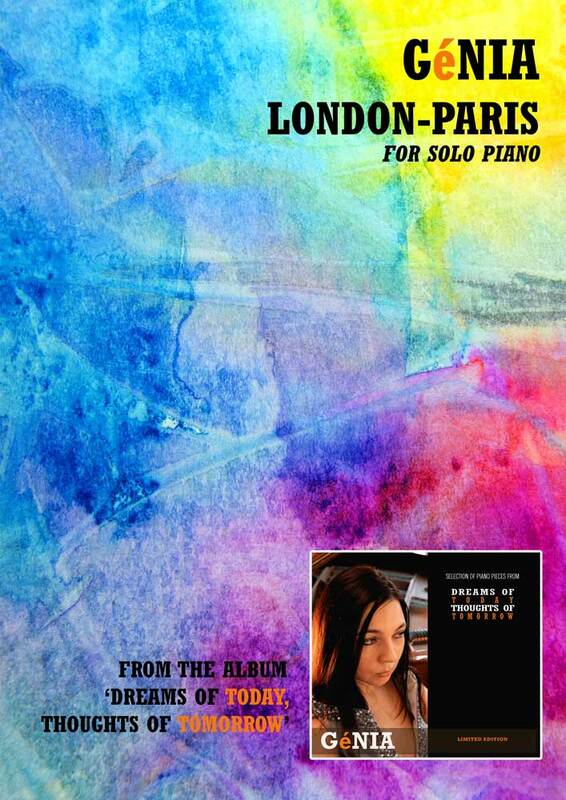 You can listen to this piece and purchase GéNIA’s sheet music here. Pianist, teacher and writer, Graham Fitch is introducing a new Online Piano Academy. 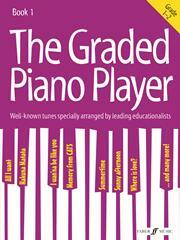 It is designed to be the complete resource for anyone learning to play the piano, irrespective of their level. Building on Graham’s e-book series and popular blog, Practising the Piano, the Academy will be a comprehensive library of lessons, masterclasses and resources combined with insights from other leading experts. The Academy will be funded by an Indiegogo crowdfunding campaign, and readers are invited to support and help shape the online resource. You can find out more here, and support the project here. This is a new iPad app for classical music in scores, audio and video. Musica Piano offers free online access to copious classical music scores by Könemann Music Budapest and other publishers. This app comes with a whole collection of recordings by renowned artists in audio and in video. The recordings are synchronized with the scores, and are called Syntunes. The Könemann Music Budapest scores have been available in print since the 90s and have been academically edited mostly in Urtext quality. The complete piano works of Mozart, Beethoven, Chopin, Bach, Haydn, Brahms, Skryabin, and many more, are at your disposal wherever you are, provided you are connected to the Internet! You can register and find out more here. The Hoffman Academy is an online resource for parents and students, enabling them to access piano lessons from their homes. These lessons are 5 -10 minutes, created by Joseph Hoffman and are free of charge. There are extra activity pages, sheet music, and mp3 files, which can be purchased for download alongside the lessons. Hoffman’s lessons are inspired by Suzuki and Kodaly methods, as well as from his own child development research. In addition, piano teachers and educators also favour using the Hoffman Academy materials in their own private practices. You can find out much more here. This festival is gaining popularity and is considered the leading programme of its kind in Ireland, attracting students and audiences from all over the world to Dublin for a nine days of lessons, masterclasses and performances. The programme offers an intensive educational experience for advanced piano students as well as an exciting concert series open to the public. The Summer Academy gives young pianists a unique opportunity to explore the possibilities of a career as a pianist, to work with the faculty, and to excel in piano performance and technique, while enjoying everything Dublin city has to offer. Eighteen participants will enjoy daily practice sessions, lessons and masterclasses, seminars on topics such as performance psychology from experts in the field. The dates are 23rd – 31st July, and you can find out much more here. Another fantastic selection, research time well spent! Thank you Simon – really pleased you have found it interesting.